Pack the kids and your sense of adventure and prepare for the trip of a lifetime on this nonstop-action, family-friendly journey to Belize. Our expert guides can’t wait to introduce you to the unspoiled beauty of this stunning Latin American country on an all-inclusive, carefully-crafted vacation package that presents the perfect balance of exploration and relaxation. 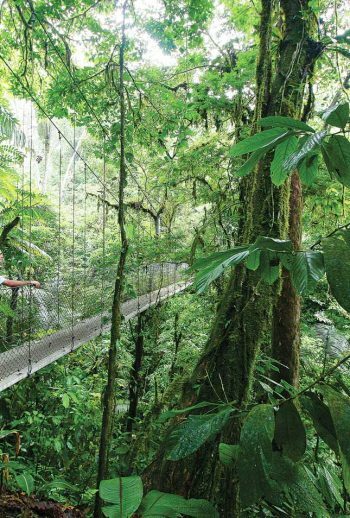 Experience the thrill of zip-lining through lush jungles, cave-tubing in the mysterious Mayan underworld and keeping on the lookout for birds, monkeys and a colorful collection of botanical delights. Race your kids up to the very top of the largest Pyramid, El Castillo, as you spend the day discovering Mayan ruins before settling into your cozy accommodations. Delicious local fare ensures you and the kids have plenty of energy throughout this unforgettable adventure while Austin’s signature touch of inspired, thoughtful service guarantees the details of each day are handled. The only thing left to do is get swept away in the enchanting ease of Belize’s breeze. Cave tubing. Zip-lining. Caribbean snorkeling. There’s never a dull moment to be had in Belize, home to 1.2-million-acres of pristine wilderness and a fascinating collection of ancient Mayan history. Join our expert guides on this eight-day, exclusive journey to an adventurer’s paradise and experience the simple joys of spending time with your family in one of Latin America’s most splendid destinations. Get ready to create memories to last a lifetime while the perfect blend of relaxation and exploration awaits! Snorkel the turquoise shores around Southern Belize on the hunt for sea turtles, eagle rays and arrow crabs. The deeper meaning: Belize's national motto is “Under the Shade I flourish.” Discover where this phrase featured on the Belize flag came from and the importance it holds for nationals today. On Day 1, arrive at Belize City International Airport. After passing through immigration and customs you will be greeted by your driver, holding a sign with your name on it. Transfer to Mystic River Resort, approx. 2 hour’s drive. Then, relax in your suite or by the shallow splash pool after a long day’s travel. On a steep bank of the beautiful Macal River, eco-friendly Mystic River Resort Jungle Lodge offers the best of all worlds to those traveling to Belize. In this oasis of privacy, serenity and rejuvenation, there are no crowds, just the soothing sound of birds, rustling trees and soft breezes. Located in the jungle of Belize, seven miles from the twin towns of San Ignacio and Santa Elena, Mystic River Resort is the best place to find that perfect something – or nothing – to do. The friendly and accommodating staff will strive to make your stay at Mystic River a wonderful experience. Mystic River takes pride in the fact that they generate their own electricity, without sacrificing the small luxuries life has to offer. They also collect and purify their own water, which is safe to drink anywhere on the property. As part of a reforestation program, Mystic River has endeavored to replant many indigenous trees cut down during the logging years in Belize. Hotels may have fancy lobbies and high-rise views, but Mystic River is returning to nature – in comfort and style! Accommodation: Miles of well-kept trails, lily pool, complimentary use of tubes and boogie boards, free Wi-Fi, complimentary basket of tea or coffee in the morning. This morning, paddle and float down the Macal River to the town of San Ignacio, enjoying the beautiful scenery and variety of birds and wildlife along the way. Upon arrival in San Ignacio, your guide will take you on a tour of Xunantunich Maya Site located in the San Jose Succotz Village. The center is composed of 6 major plazas surrounded by more than 25 temples and palaces. The largest pyramid, El Castillo, is well known for the frieze or band of stucco decoration which at one time extended around the entire temple. El Castillo rises 131 feet above the main plaza and offers an impressive panoramic view over the Mopan River valley including views of Belize’s neighboring country, Guatemala. Our second stop will be Cahal Pech Maya site, once a hilltop home of an elite Mayan family and recognized as one of the oldest Maya sites in Western Belize. Later this afternoon, we’ll head back to Mystic River for some downtime. After breakfast your guide will transfer you to the start of your tour of Actun Tunichil Muknal Cave. After a short hike to reach the cave entrance, swim a short distance, leading to an amazing underworld realm. A 45 minute trek leads to the main water passage where you can admire sparkling stalactites, stalagmites and flow stones. This chamber is known as Xibalba; a world beneath the face of the earth, into which kings and shamans of Mayan past could communicate with gods and ancestors through rituals and ceremonies. Late afternoon, we’ll head back to the resort. Maya for “Beautiful Sea”, Chabil Mar is nestled on 400 feet of Caribbean beach front, just five minutes from Placencia Village. Nineteen individually designed Villas, each with a personal sea-facing veranda, grace the property. A private pier for dining, lounging and sunning, al fresco dining at “Cafe Mar” beach-side and two infinity swimming pools amidst lush tropical gardens top the list of amazing amenities at Chabil Mar. Because of the resort’s premier location, guests can enjoy Belizean culture, the people, shops and nightlife of the Village at your leisure and convenience, on your own schedule and as often as you like. The luxury accommodations strike a perfect balance between Belizean flair and modern amenities. Original art and local artifacts complement the comforts of home. One and two bedroom villas (some with lofts) grace the properties. King sized beds, fine linens and bedding, Belizean hardwood cabinetry, granite counter tops, fine tiling and marble, in spacious 1000-square foot living areas, create a tranquil resort experience. This morning we’ll depart the nearby marina en route to Belize’s Barrier Reef – the second longest in the world! * This trip is operated in partnership with Darah Travel. ** Trip itineraries are subject to change without notice due to road, weather and other factors outside of our control, for the safety and enjoyment of our guests, as deemed necessary and appropriate by Austin Adventures and Darah Travel. Upon arrival at Belize International Airport, pass through immigration and immediately enter the luggage claim area. After collecting your luggage you will pass through customs and then continue towards the airport exit door on your right hand side. Outside look for a representative of Austin Adventures who will be holding an Austin Adventures sign with your name on it. Your driver will then transfer you a 2.5 hour to Mystic River Resort, where you may spend the rest of the day resting and preparing for your adventure. On your last day, you will be taken to the nearby Placencia airstrip for your forty minute flight to the International airport where you will make your post trip connections home. The hallmark of an Austin Adventures vacation is our exceptional dining. All meals: breakfasts, lunches, snacks, dinners, refreshments and receptions are included as indicated by itinerary. (B = Breakfast, L = Lunch, D = Dinner). Most alcoholic beverages and related gratuities are not included in the trip price. Meals as indicated in detailed daily itinerary (B = Breakfast, L = Lunch, D= Dinner). Daily tours and activities as listed in itinerary. 10% service charge at Mystic River & Chabil Mar (includes tips for hotel and restaurant staff). Local flight from Placencia Airstrip to Belize International Airport. Gratuities to Austin Adventures Guide and Driver. Gratuities to cave tubing and snorkeling guides.